A POS software needs to give a positive impact on your business - with increase in customer base and margins. GOFRUGAL did exactly that for us, which all our earlier software didn't. GOFRUGAL has given us 100% accuracy in stock across all our departments and floors, we never have to redo stock taking. Integrated accounts has made our life very easy and peaceful"
Hypermarket retail POS software that lets you handle out-of-stock scenarios with efficient inventory, re-order, expiry, return & wastage management modules. Give a great checkout experience with mobile billing apps like SellSmart and SellQuick. WhatsNow mobile app gives you auto notification of your business performance. 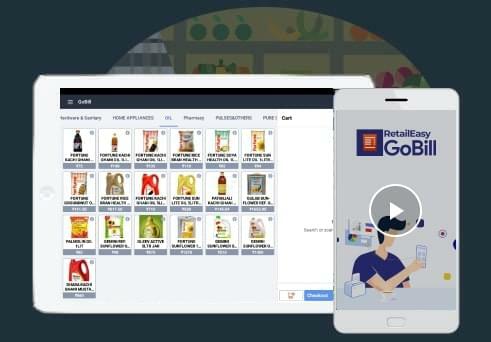 Try free Hypermarket, Departmental shop pos software for 30 days Trial.